When Chelsea was born she seemed to have a unique curiosity right from the very first day of her life. She was wide-eyed, checking out the world around her with very little fear or apprehension. Chelsea has always been a bright light, always ready to break into a song or dance with as much glitter as possible! If you ask her, Chelsea will happily tell you that music speaks to her soul. From the moment this child wakes up until the moment she goes to sleep, Chelsea is either singing, humming or playing music on her phone as she walks. It’s not just current pop music she’s into; she’s interested in music of days gone by and will often speak of a memory which is tied to songs. 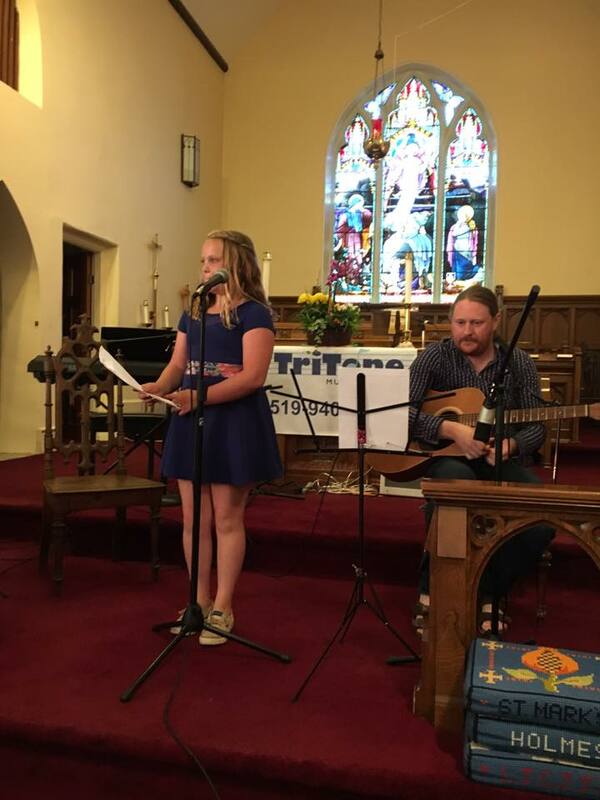 Having a musical child, it didn’t shock me when she told me that she wanted to be on stage at the age of 5. I looked around and found a local music theatre company for children and signed her up! She enjoyed performing in many plays with them but found she just wasn’t being stretched as a member of the ensemble. To be completely honest, I was a bit lost so put her desire to improve aside for a year and waited to see if it would pass. Chelsea has continued to put on shows at home which should have prepared me for what was to come. We were sitting to dinner and my 10-year-old daughter announces that she’s decided that she HAS to go to the school of the arts for high school. Hang on…you’re going into grade 6 and this is what you’re thinking about? Yes, yes she is…and believe me when I say she is determined. This school of the arts isn’t easy to get into as competition is high for a spot. Before her audition, Chelsea must reach a specified level within the Royal Conservatory of Music education. This will include vocal training as well as music theory. Chelsea is dead set on it so I knew time was of the essence to get her into lessons with the right teacher who is certified by the Royal Conservatory of Music. 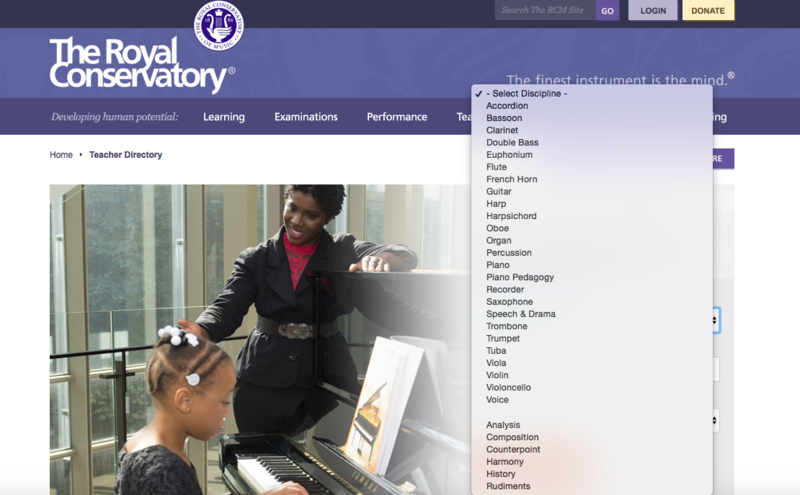 Thankfully I found the Royal Conservatory’s online National Music Teacher Directory which made my choice super simple. I simply went to the site, chose the discipline I was interested in (Voice) then entered my postal code and the distance from our home I wanted the teacher to be within, and a list of choices came up. We met with a few of the teachers listed and finally decided upon one that was a fit for my daughter’s big personality. Chelsea has been taking lessons for 2 months now and although the technical training can often seem repetitive, her spirit for her dream is just as excited as when she announced it at the dinner table. 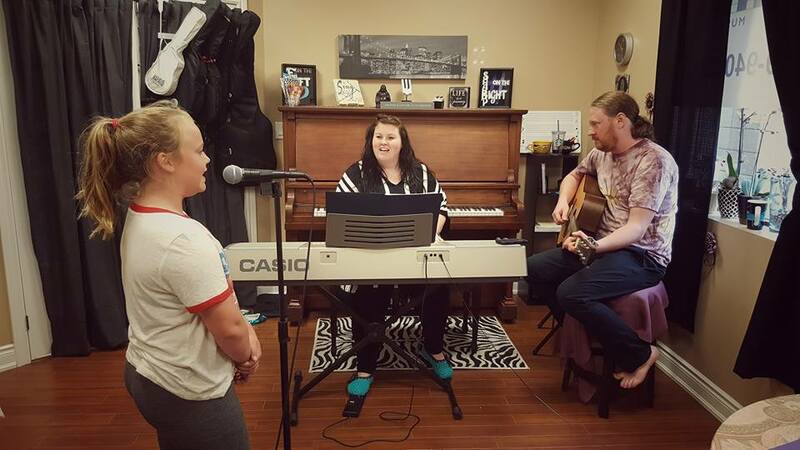 These lessons have more benefit than simply equipping her for her dream; music lessons provide many benefits to children, including in areas of intellectual, social, and creative potential. A child’s self-confidence, emotional resilience and attention span and focus are often improved with music lessons. 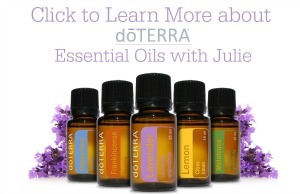 As a mother I love that my child has found a passion and that her teacher is so supportive. I encourage all parents to explore music lessons for their children as it’s an outlet that lends so many wonderful benefits. Don’t be intimidated at the thought of choosing the right instructor; use Royal Conservatory’s online National Music Teacher Directory to help you navigate through choices with the confidence that each has followed a comprehensive and effectively sequenced system of music study and national standard of assessment that provides the strongest foundation for well-rounded musical training, from beginner to advanced levels. Disclosure: This is a sponsored post; all opinions and experiences are my own.